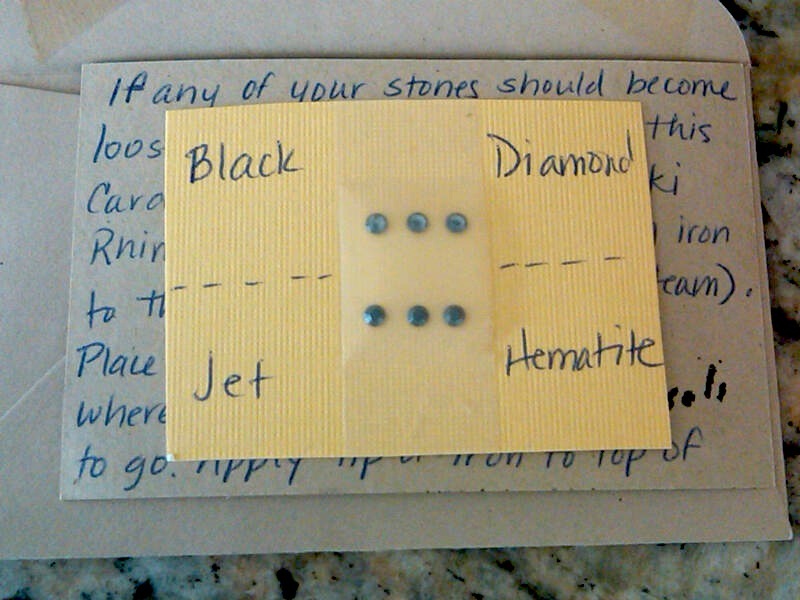 Extra stones (just in case)!! Bracelets and cuffs available in the following widths, 1/4" (.0635cm) to 3" (7.62cm) and 6.5” (16.51cm) long (standard) unless otherwise stated. 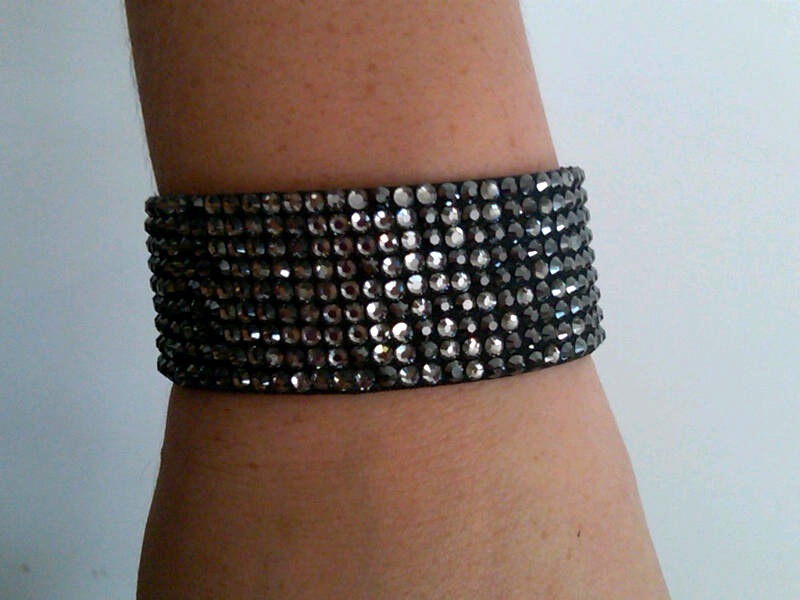 These bracelets and cuffs are permanently closed and designed to stretch when being put on, or worn. 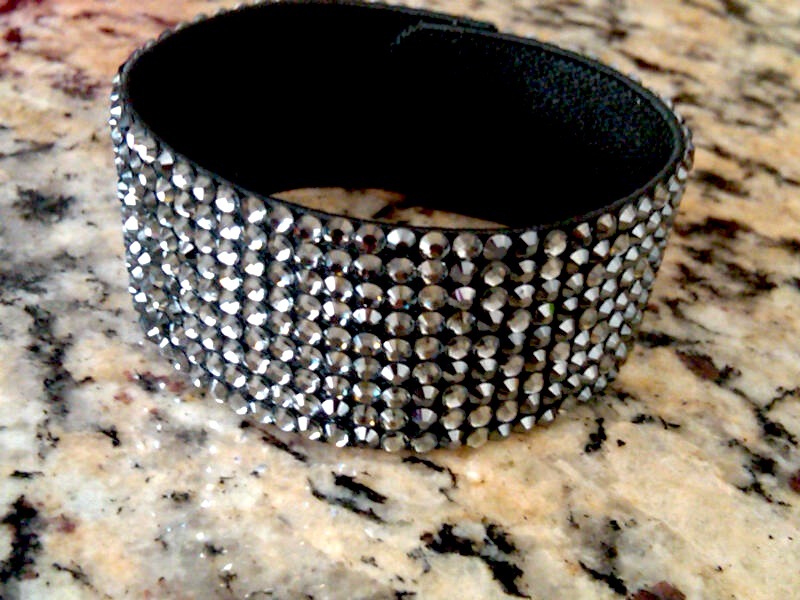 I absolutely LOVE this cuff! 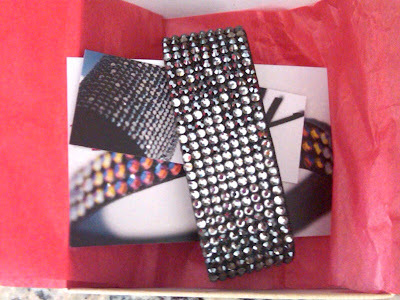 I am a rhinestone lover, and if I could I'd rhinestone my car, my house... hell, I'd rhinestone the world! 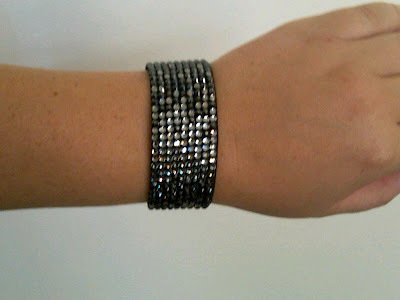 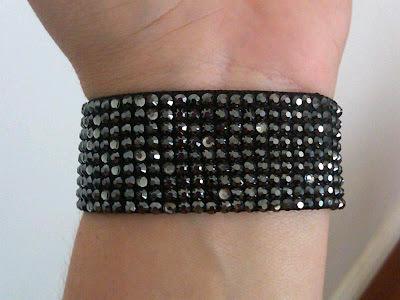 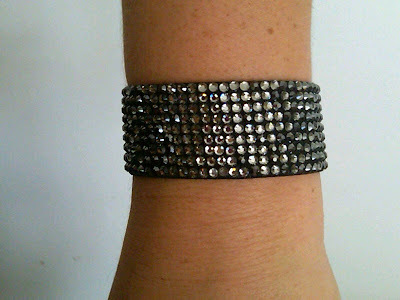 What I really like about this bracelet/cuff is that it can be dressed up or down. Not only is the color not too flashy, but the size (1 inch) is perfect and it is very comfortable! 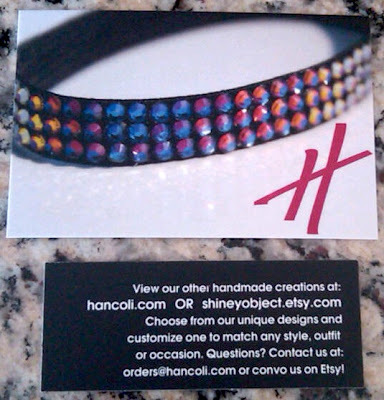 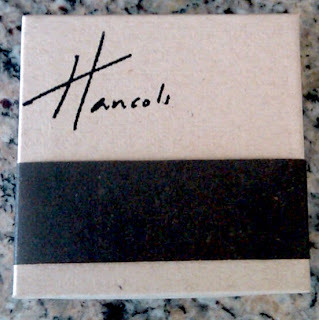 Hancoli has amazing customer service, good prices, quality product and fast shipping. 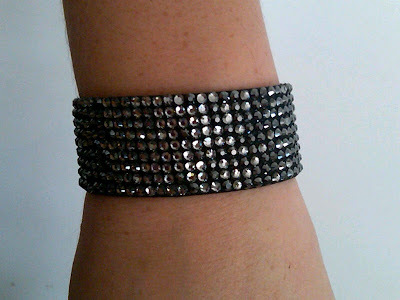 This elegant one-of-a-kind cuff is made with approx. 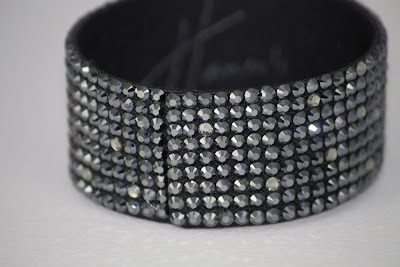 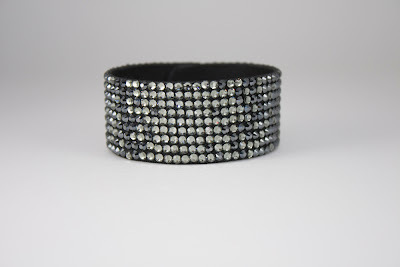 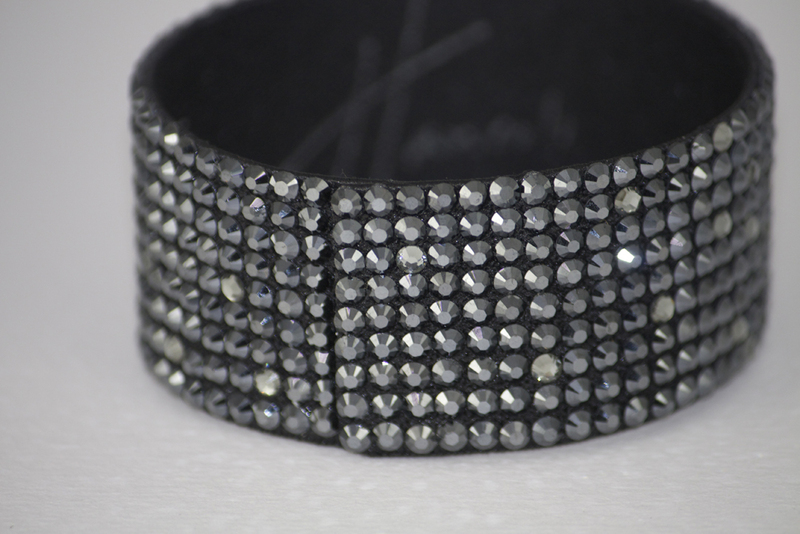 550 authentic Swarovski Crystal Rhinestones and would be a beautiful complement to any outfit: formal, work, or casual. 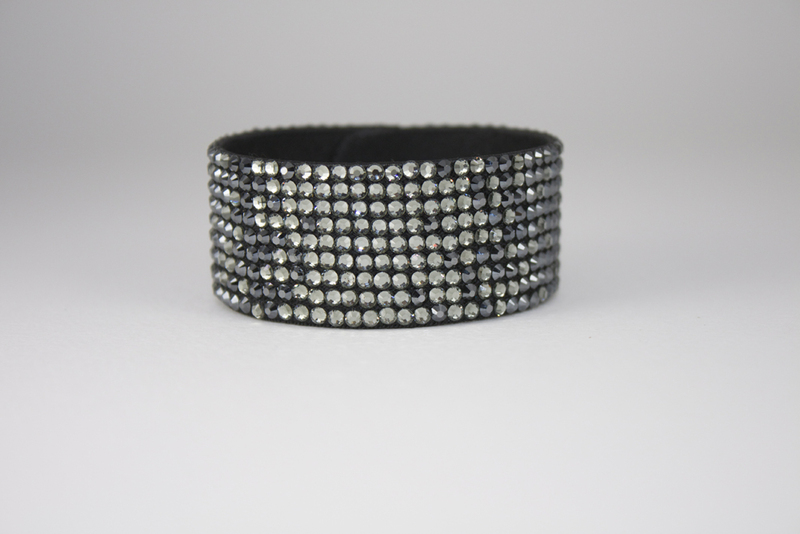 These cuffs are the perfect accessory to wear alone or stacked. The crystals are individually hand placed on elastic to slip easily over any sized wrist, but can also be custom created for length…just ask! All pieces from this shop are carefully wrapped in tissue paper and nestled in a pretty box for easy gift-giving. Bubble-wrapped and packed via Priority Mail to ensure a safe and quick delivery (typically 2-3 business days, depending on location). Overseas shipping is available and ALL items are sent via flat-rate shipping prices, so additional items ship for free! 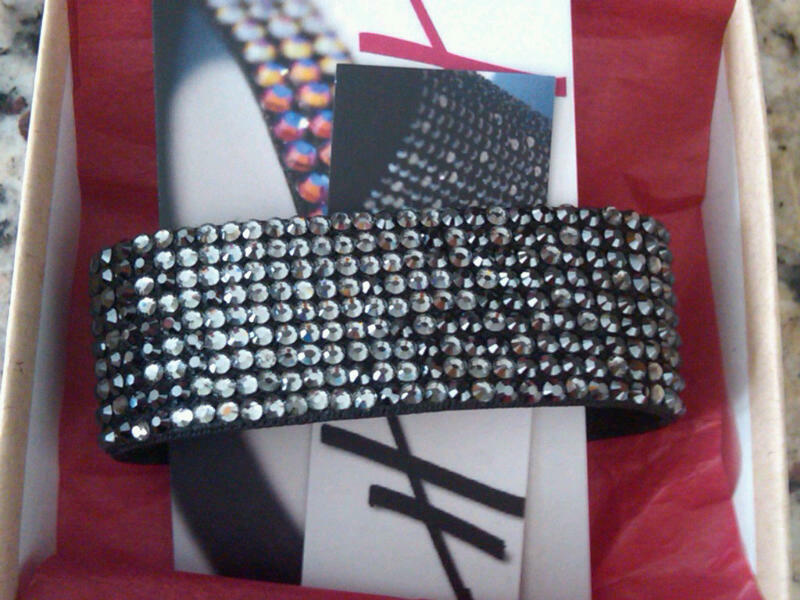 That cuff is absolutely stunning!